Brother has unveiled its new generation of business color devices, the Business Smart inkjet series: six multifunction printers based on an economic model. These include the MFC-J5335DW, MFC-J5730DW, MFC-J5930DW, MFC-J6530DW, MFC-J6930DW and MFC-J6935DW. These machines replace the previous range launched in 2014, the MFC-J5320DW to the MFC-J6920DW. This new range has been designed by Brother to meet the changing needs of small and medium-sized businesses. These economical machines feature a high-capacity 3,000-page black cartridge and color ones with capacities of 1,500 pages, and feature automatic two-sided printing and ink-saving mode to reduce consumption. From a productivity point of view, the range can print up to 22 ppm with a first page output time of 6 seconds and they all have a 50-sheet automatic document feeder. The MFC-J5335DW, MFC-J5730DW and MFC-J5930DW models print and scan in A4/Letter but can print onto A3/Ledger paper, while the MFC-J6530DW, MFC-J6930DW and MFC-J6935DW models can both print and scan A3/Ledger. Connectivity for this range is good too: they are all compatible with AirPrint, Google Cloud Print and Mopria. The Brother iPrint & Scan application and Wi-Fi Direct are also available for these MFPs. Finally, NFC connectivity is provided but only on the MFC-J5930DW, MFC-J6930DW and MFC-J6935DW models. 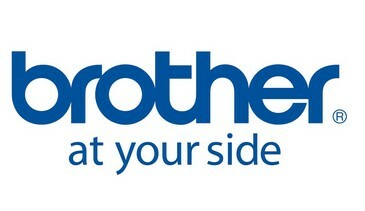 Find out more about Brother's new business smart inkjet range on your DMO portal.